Metro Security has entered its innovative Metro Analytic Retail Solution (M.A.R.S) system in the prestigious 2019 Retail Systems Awards, competing in the ‘In-store Technology of the Year’ category. M.A.R.S provides retailers with a valuable range of loss prevention capabilities, combined with a variety of exciting added-value operational and store management functions. 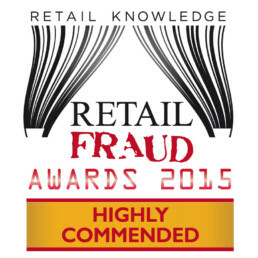 The winners will be announced at the 14th annual Retail Systems Awards ceremony taking place in London this June. 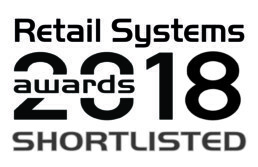 Metro’s entry with M.A.R.S follows our 2018 success in being shortlisted in the ‘Retail Security Initiative of the Year’ category. The multi-faceted M.A.R.S system cost-effectively addresses shop floor ‘shrinkage’ losses from customer and staff fraud whilst simultaneously providing powerful operational, management and marketing tools to help improve store revenues – with the combination enabling the system to pay for its own installation. One leading High S retailer’s national and international chain of stores is already protecting its branches from unusual or suspect trading activities using M.A.R.S’ sophisticated data monitoring capabilities. The system monitors transactions across hundreds of the company’s sites around the UK and some 20 other countries around Europe. M.A.R.S has enabled this major retailer to reduce annual shrinkage losses across all its stores by a significant 70%, while also cutting the company’s audit costs by 65%. A combination of real-time and post-event monitoring of till transactions, using a wide range of variable parameters and types of activity, is the key to this success. Meanwhile, M.A.R.S’ sophisticated analytical software, which works in conjunction with megapixel CCTV cameras, related audio recordings and Epos (electronic point of sale) till data, also provides important added-value non-security applications. These include the use of transactional activity as an operational tool to review product margins, redesign store layouts to promote increased footfall by using the system’s quick and convenient analysis of levels and patterns, and raise revenue from existing stock. M.A.R.S utilises customer relationship management (CRM) functionality to monitor/analyze customers’ buying habits and combine this with target advertising – enabling retailers to tailor their selection of goods. This also allows optimization of store configuration, improves stock management, and enables retailers to train their staff appropriately to generate increased profit from faster selling and higher margin items.